Leave Old Phone company connected or not? I have a Telo. Have been using it for a few months with my Cable Modem. I was wondering about my installation. After my number port happened, I physically disconnected the old phone company at the junction box outside of my house. I thought this would be a good way to go. Something just seemed wrong about the old phone company still being connected once I was using OOMA 100%. Anyway, now I am second guessing this. The phone line carries a 48 VDC signal on it. This is used to power the phones on the line. With the old phone company disconnected, is there any concern that the OOMA box (now needing to provide the 48 VDC supply itself) will not be able to source enough current for all the land-line phones in the house? I did a quick search on this and could not find the answer, so I am sorry if this is a redundant question. Re: Leave Old Phone company connected or not? ooma systems are designed to emulate the signal that was delivered by the telephone utility - so they use the same talk battery (that's the voltage that allows legacy phones to operate without need for local batteries or power adapters) and the same ringing current and voltage normally available. However, there can be a problem with overloading the ringing current if you have a lot of the old mechanical ringers. These would typically be in the old WE 2500 phones. The way to know what is too much is easy - on the bottom of all phones you will find a number called the REN. The total Ringer Equivalency Number of all connected phones should be less than 5. Most modern phones are well below 1 - in fact, my current cordless phones have an REN of 0.01. Almost forgot... Welcome to ooma and to the forum! My Telo died last Friday. It had been working nearly flawlessly since I installed it 3 months ago. (there was 2 instances where I had to re-boot the box -- not sure why). It died from a power outage we had in my neighborhood. The power was out for almost 4 hours. When the power came back, the Ooma never worked again. Upon power up the "line 1" and "line 2" LEDs would come on and just stay solid. the box never proceeded with the rest of its power up sequence. The good folks at customer support walked me through some troubleshooting over the phone and after a reasonable amount of time, they determined my box was dead. They are shipping me a new one now (free, since the box is still under warranty). Its in a UPS truck now somewhere between California and my home in Illinois. I have to conclude the power surge upon the loss of power is what killed the box, but I am skeptical. Absolutely no other equipment in my home was affected. The ooma is powered from the same 800 joule surge protector that ALL of my computer equipment is powered from. The computer itself, the cable modem, my router, backup HD, and printer are all on the same surge-protected power strip, yet the Ooma was the only device that died. I am willing to chalk this up to a freak thing, but if it happens again, the wife will kill me. Its really bugging her that all of our calls are now being routed to her cell phone, while we wait for the new box. So being the thorough engineer I am, I am walking through my own due diligence. That is why I ask the question about my installation. Could that have any way made the box more susceptible to the power surge? I only have 2 cordless phones and one modern wall mount phone with an electronic ringer connected to the Ooma, so I can't imagine I am overstessing its power supplies. Have you heard of this failure mode before on the Telo? Is it a known issue? or just a freak thing I should not worry about happening again? Welcome. Since you are EE, I trust that you disconnected your house wiring at the NIB correctly. It was probably a fluke. Since Telo going through firmware upgrade disrupted with power outage maybe bricked (just a possibility), it maybe a good idea to put modem, ooma, router all on UPS to maximize protection from power outage/surge. lbmofo wrote: Welcome. Since you are EE, I trust that you disconnected your house wiring at the NIB correctly. Well, maybe that is not a good assumption. (I've been doing cell phones for 20 years, not landline phones ) The box outside had the simple RJ11 telephone plug going into a box, so I unplugged it.... Is that OK? If your NIB looks like this, then yes, unplugging the plug will do the trick. 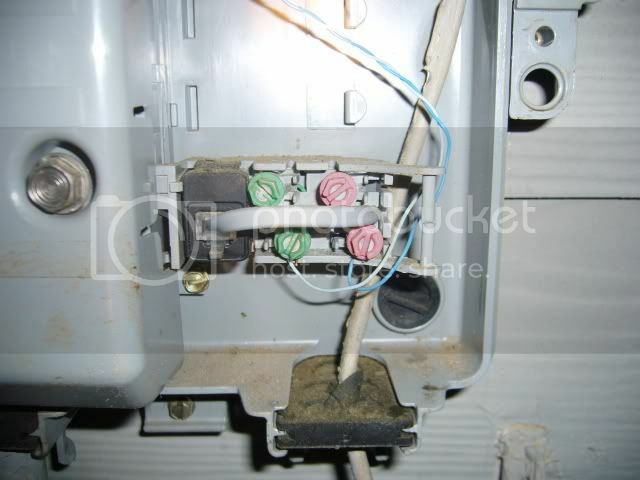 If you have more plugs with respective screw terminals connected to wires, unplug those too. yes, that is what it looks like. Thanks. zten wrote: yes, that is what it looks like. Thanks. I have an ooma telo as well as my mom and two friends. one of my friends also had his die as a result of a neighborhood power outage. he is in my neighborhood. ooma also replaced his too. seems from you, me and others posting here that power outages sometimes will brick the ooma. it is my understanding that unless you have a feature where you still use your old phone company along with your ooma, called land line integration, there should be no mixing of the old telephone signal with the ooma's output. I, as others have, added a battery backup and have the modem/ooma/router plugged into it. my ooma is under my desk and the only access I have to it is through my cordless phones. all have been up for months and months! my friend around the corner did not want to spend ~$45 on a battery backup, and I know we had at least a few power outages after his replacement telo over 6 months ago, he also never had any more problems. My moms telo is on a larger backup that my brother happened to have. they have a lot of short outages. nice that it keeps all going, and no need to worry about booting the equipment in the correct order since it stays up with the battery. bottom line, I seen some telos go bad. I feel better with a battery backup. i hope my adds time to it's lifespan.